to tell, it’s the one at 312. "The most beautiful of any hotel of similar size in the west. "...so stated the Springfield Daily Leader, when the Hotel Sansone opened to the public in 1910. Throughout the 100+ years since, 312 Park Central East has exemplified not only style, but also a commitment to community. Student living in the heart of Springfield MO. Built by friendship & community. 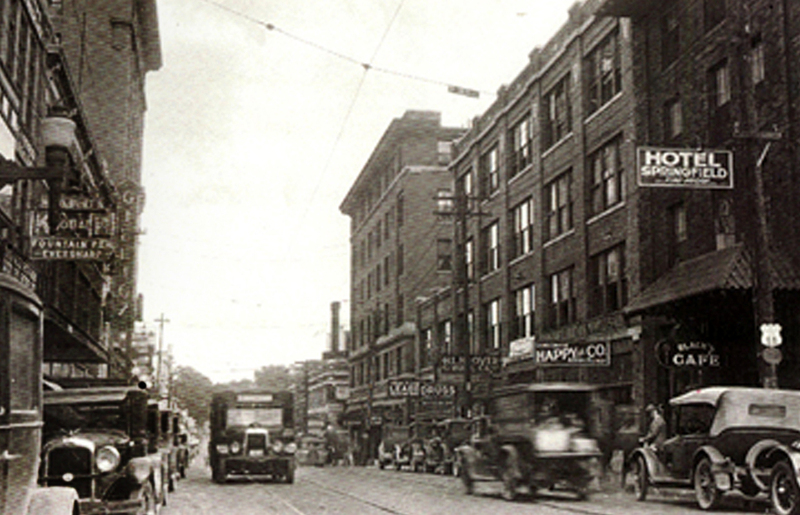 When a fire destroyed Charles Sansone’s grocery in 1909, his friends—businessman John T. Woodruff and architect Frank W. Hunt—built a four story hotel in its place, making Mr. Sansone as its namesake and proprietor. 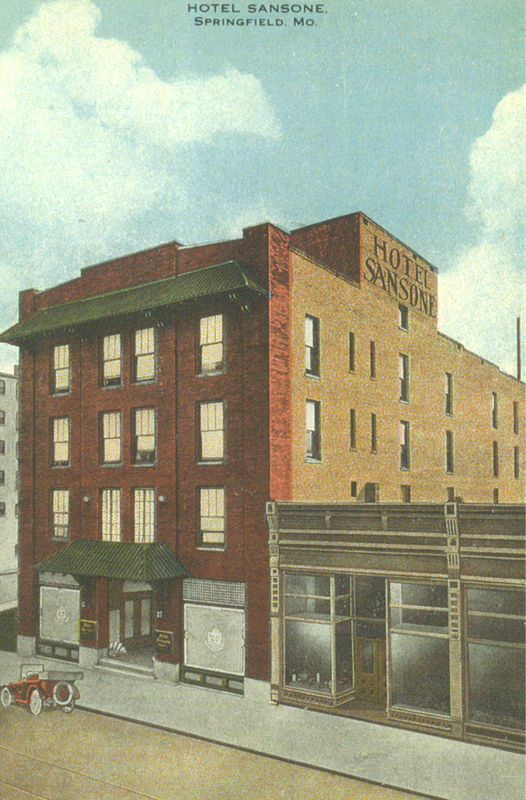 This Hotel Sansone became nationally renowned for its elegance and hospitality. Being located on Route 66, it was a regular stop for many entertainers and sports figures during their travels (Brooklyn Dodgers President Branch Rickey & actress Marilyn Miller among them). 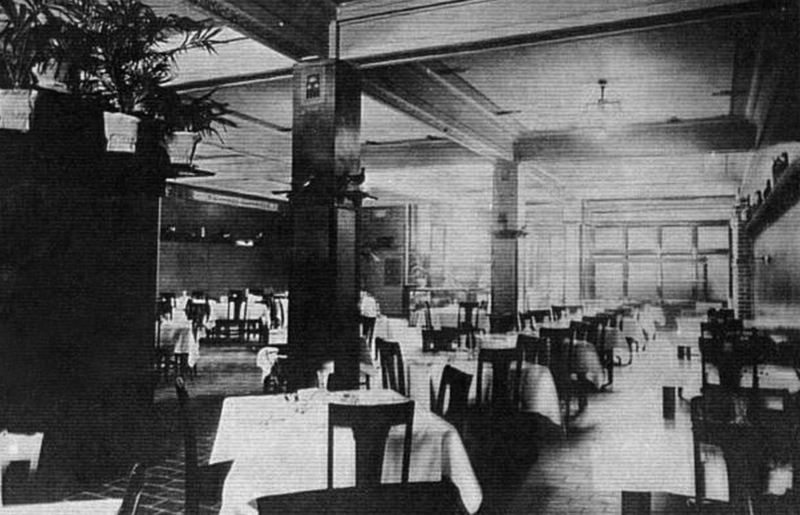 The Hotel even boasted the area’s first ‘ratskeller’—a basement parlor and lounge. And though the name changed through the years—eventually settling on Hotel Sterling—it played a major roll in the downtown character of Springfield by offering rest, comfort, fun and camaraderie. Continuing the tradition, The Sterling—now a component of the Park East neighborhood—is focused on its residents and their success. It also keeps our greater community—and the greater good—in full view, and this has driven every bit of the thought, planning and design. The Sterling is recognized on the Registry of National Historic Places. Just hit the button to get started-we're ready when you are!